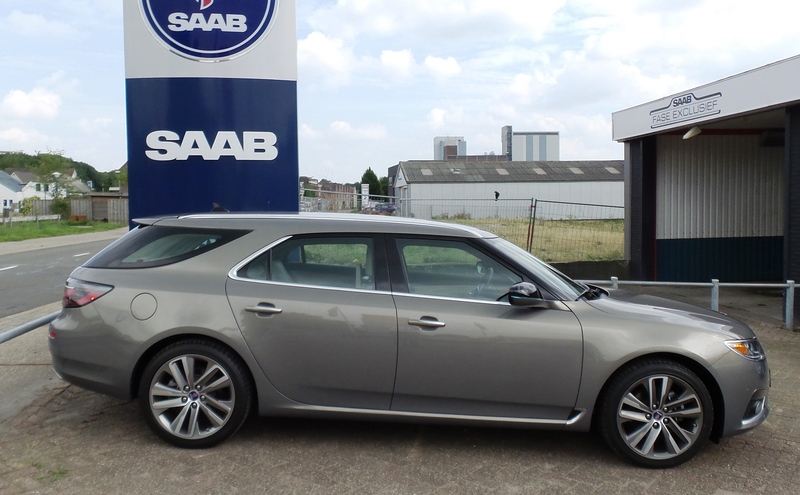 In the first week of September we were visited by a long time Saab driver who had a problem with his 2006 Saab 9-5 Estate Aero. After reviewing the car it turned out that after 230.000 km there were too many problems to fix for a reasonable price. Especially regarding the demanding use of the car by this good sir. We were asked to look for a similar car, but a bit younger and with lower mileage. Because skipping to another brand was absolutely out of the question! Suddenly I remembered there were still some Saabs 9-5 Sportcombi of the latest model available! 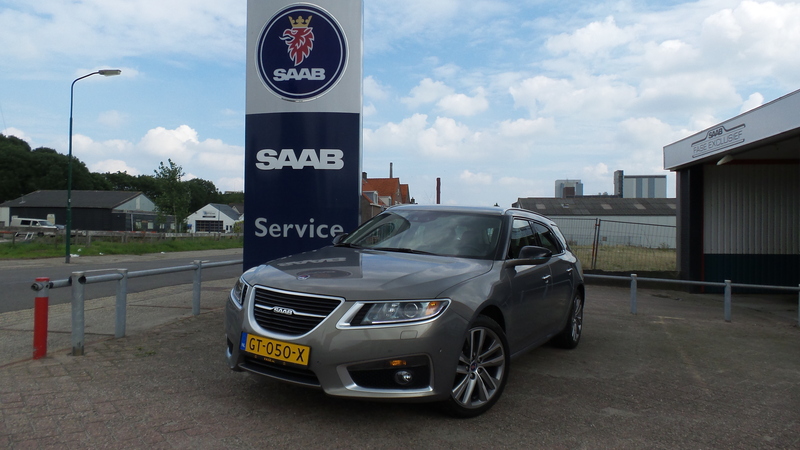 About a year ago we also helped a customer to a very nice Saab 9-4X, via Venza Cars in the Netherlands. I told this to our customer and he was immediately very interested. I showed him the available models online and we decided to make an appointment and visit Venza together. Especially the top of the line 2.0 Turbo XWD Aero model in a very special brown metallic colour was a great successor to the current Saab 9-5. After this visit and a very nice test drive everything went fast. We made the deal with Venza and sold Sportcombi no. 7 to our client. The price was quite hefty, but as the client put so nicely: ‘If I go to another brand like Volvo or Audi, the price will be the same, but then I won’t be driving a Saab!’ So he traded in his 2006 Saab 9-5 Estate as if Saab has never been away… Since about a week he’s driving with the car and is very proud and happy with it. He gets a lot of great reactions from other people like ‘What kind of car is that? ?’ and ‘I didn’t know you could still buy new Saabs’ to a simple ‘wow’. 9-5sc2012.com would like to thank FASE EXCLUSIEF and Mr. Arjen van Elk and the new owner for sharing this story with us. We are very happy to see another sportcombi on the road! More pictures and info in the sc directory: >> Sc Nr 7. ← The missing Nr 36 found ?